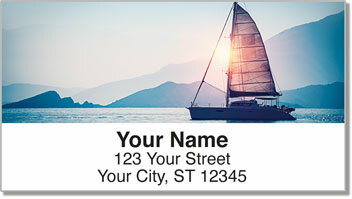 There's an incredible sensation those of us who love sailing share that is simultaneously peaceful and exhilarating. The moment comes when it's just you, the wind, the water and the horizon. You cut through waves with the freshest air hitting your face, leaving the land behind you sail toward a new adventure. 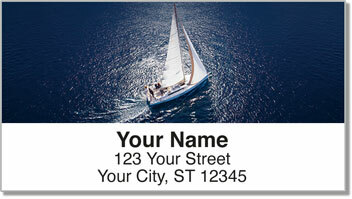 Sailing Address Labels from CheckAdvantage bring a little bit of that unique experience to the everyday task of preparing your outgoing mail. Conveniently place your return address on items without licking and sticking thanks to the self-adhesive backing. That saves you time, which could mean more opportunities to be out on the open water. 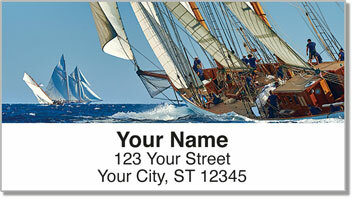 Get your own Sailing Address Labels now! 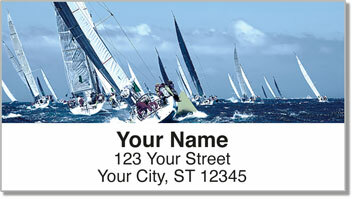 Sailing enthusiasts will also love our matching personal check design!